The long wait is finally over as Jordan Brand officially released the eighth signature shoe of Carmelo Anthony, the Jordan Melo M8, which is now currently making waves in the market. After creating a huge buzz even before its release, the noise that it is currently making is not a surprise. 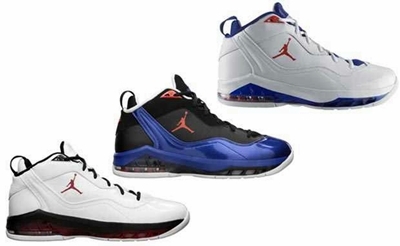 The new Jordan Melo M8 is now available in White/Orange Flash – Blue Ribbon, Black/Orange Flash – Blue Ribbon – White, and White/Varsity Red – Black colourway, which are all related to Melo’s new team, the New York Knicks. Without a doubt, this new sneaker is a must-buy this month!